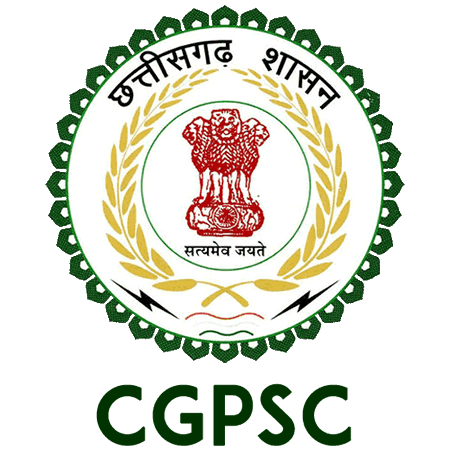 CGPSC Result 2019: Below are the latest results published by CGPSC - Chhattisgarh Public Service Commission, Raipur / www.psc.cg.gov.in. The recent result announced by the organization is State Service Pre Exam 2018 Result 2019. CGPSC State Service Pre Exam 2018 Result 2019: Chhattisgarh Public Service Commission, Raipur has announced the Result on 17 Apr 2019 for the exam . CGPSC Assistant Geologist 2018 Result 2019: Chhattisgarh Public Service Commission, Raipur has announced the Result on 08 Mar 2019 for the exam . CGPSC Mining Inspector 2018 Result 2019: Chhattisgarh Public Service Commission, Raipur has announced the Result on 08 Mar 2019 for the exam . CGPSC Assistant Geologist and Mining Inspector 2018 Result 2019: Chhattisgarh Public Service Commission, Raipur has announced the Result on 08 Mar 2019 for Assistant Geologist and Mining Inspector Exam 2018 . CGPSC Scientific Officer Exam 2018 Result 2019: Chhattisgarh Public Service Commission, Raipur has announced the Result on 26 Feb 2019 for CGPSC Scientific Officer Exam 2018 . CGPSC Reader Result 2019: Chhattisgarh Public Service Commission, Raipur has announced the Result on 25 Jan 2019 for the exam . CGPSC State Service Exam Result 2019: Chhattisgarh Public Service Commission, Raipur has announced the Result on 01 Feb 2019 for the exam . CGPSC State Service Exam 2017 Result 2019: Chhattisgarh Public Service Commission, Raipur has announced the Result on 22 Jan 2019 for State Service Exam 2017 . CGPSC Asst. Professor (Chemistry) Exam 2009 Amended Result 2019: Chhattisgarh Public Service Commission, Raipur has announced the Result on 19 Jan 2019 for CGPSC Asst. Professor (Chemistry) Exam 2009 . CGPSC Scientific Officer 2018 Result 2019: Chhattisgarh Public Service Commission, Raipur has announced the Result on 09 Jan 2019 for CGPSC Scientific Officer 2018 Exam . CGPSC Store Keeper Result 2019: Chhattisgarh Public Service Commission, Raipur has announced the Result on 05 Jan 2019 for CGPSC Store Keeper Exam 2018 . CGPSC Chhattisgarh State Engineering Service 2017 Result 2019: Chhattisgarh Public Service Commission, Raipur has announced the Result on 03 Jan 2019 for CGPSC Chhattisgarh State Engineering Service 2017 Exam 2019 . CGPSC Forest 2017 Final Result: Chhattisgarh Public Service Commission, Raipur has announced the Result on 07 Dec 2018 for CGPSC Forest Exam 2017 . CGPSC Youth Welfare Officer, Asst. Director, Administrator, Sports Officer Written Exam Result 2018: Chhattisgarh Public Service Commission, Raipur has announced the Result on 08 Nov 2018 for CGPSC Youth Welfare Officer, Asst. Director, Administrator, Sports Officer Written Exam 2018 . CGPSC State Forest Exam Result 2018: Chhattisgarh Public Service Commission, Raipur has announced the Result on 02 Oct 2018 for State Forest Exam 2018 . CGPSC Assistant Grade 3 (Backlog) 2015 Result 2018: Chhattisgarh Public Service Commission, Raipur has announced the Result on 22 Sep 2018 for Assistant Grade 3 (Backlog) Exam 2018 which was conducted on 28 Jun 2018. CGPSC Ayurved Medical Officer Result 2018: Chhattisgarh Public Service Commission, Raipur has announced the Result on 10 May 2018 for Ayurved Medical Officer Exam 2017 . CGPSC Regitrar Result with Marks 2018: Chhattisgarh Public Service Commission, Raipur has announced the Result on 01 May 2018 for Regitrar Exam 2017 . CGPSC Legal Officer Result with Marks 2018: Chhattisgarh Public Service Commission, Raipur has announced the Result on 01 May 2018 for Legal Officer Exam 2017 . CGPSC Civil Judge (Entry Level) Exam Result with Marks 2018: Chhattisgarh Public Service Commission, Raipur has announced the Result on 01 May 2018 for Civil Judge (Entry Level) Exam 2017 .